Looking for BolehVPN Savings? Below you will find some deals that would help you to save money on your BolehVPN subscription. There is no BolehVPN coupon code, so just click on the redeem button, and all applicable deals will automatically be applied to your account upon checkout. BolehVPN charges $10 (30 Malaysian RM) for its monthly service but you can get it for less if you are willing to subscribe to term plans. 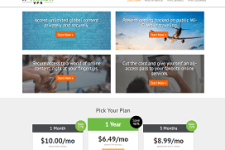 The provider currently has annual, semi-annual and 60-day VPN packages so there are plenty of money saving options available. 1) Get $35 Off On 1 Year Subscription – That’s almost 30% off on the usual price. 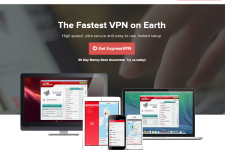 BolehVPN now offers its 12 month VPN package at $85 (instead of the usual $120) which is indeed a great opportunity for expats who are looking to save some money on their privacy service. When you subscribe to BolehVPN’s annual plan, you can avail the service at a low price of $7 a month which is absolutely phenomenal. 2) Get $14 Off On 6-Month Subscription – This represents a 23% saving. With this money-saving offer, you can subscribe to BolehVPN’s 6 month plan for $46 instead of $60. 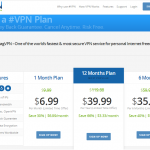 This means you would be paying a low price of $7.67/month for a top quality VPN service. 3) Get $3 Off On 2-Month Subscription – Even though BolehVPN doesn’t have a quarterly plan, they do offer a 60-day VPN package. And it is now possible to subscribe to the same for $17 instead of the normal $20. As you can imagine, the company is targeting tourists and business travelers with this plan who need a privacy service for short trips abroad. To take advantage of the above offers, visit the official BolehVPN website by clicking on one of the links posted in this article. The above promos do not require a coupon code so you should see the reduced prices automatically upon visiting the BolehVPN site. Why BolehVPN Is Such A Fantastic VPN Service? BolehVPN is a privacy offering from a Malaysia based company. 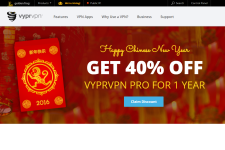 The BolehVPN service first appeared as a private project but since its official launch in 2007, it has matured into a full-fledged and reliable VPN solution. The team behind BolehVPN also offers seedbox hosting and game server hosting apart from providing security and privacy through its VPN service. BolehVPN offers military grade security through its servers located in 12 different countries. The company’s servers are predominantly located in America and Europe so it is clear that the company is targeting expats and tourists from these countries. The service makes it possible to unlock GEO-IP content that is available only within these 12 countries as well as allows you to secure your internet from surveillance, monitoring, snooping and hacking threats. BolehVPN can even help you to unlock Facebook and YouTube at your school or workplace and bypass censorship in foreign countries.